get worked up over minor things like movies, but it is soooo true. 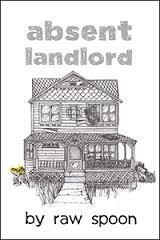 This is a fun and wordy romp through one person's eyes of what it was like to grow up and live in a small town. It was very true to form to what I remember the way of life was like. It brought back a lot of memories for me. There were quite a few stories strung together to make up this book. It flowed nicely and was quite enjoyable. The author made good use of the assortment of old typewriters. I gave this book 5 out of 5 stars. the story, but it turns out the selfish teenager actually experiences empathy. this book to any teenager I know. I thank the author for sharing it with me. I gave this book 5 out of 5 stars. concentrate on the cat family. Most of them are of the dog family. exciting read for such a short little tale. I gave this book 5 out of 5 stars. This is a nice little book on how to be a better person. issues. It is full of little tales to illustrate her points. My favorite tale was the one of the broken pot. this book 5 out of 5 stars. delightful little story book with adorable illustrations. but I am an adult. The rest of the book was really cute. druids and dragons. Who could ask for anything more.? break out of his prison of many years. supernatural. I give this book 5 out of 5 stars. 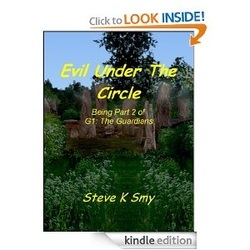 story where is does not pay to be a good guy, or even a bad guy. the story, to keep the reader guessing. for those glowing red eyes! 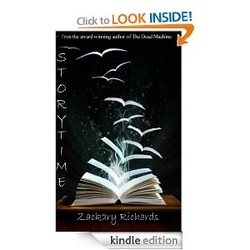 review and I gave this book 5 out of 5 stars. 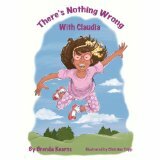 confronts how uncomfortable a child is with her differences. everyone finally sees why she is different. need to respect differences in people. We can’t all be the same. the audience of this book. help of a new found friend. knew where one of their stories were going to end up. Mr. Richards has the same talent. that has super powers and a personality. perfect combination for late night entertainment. connected by the fact that there are no connections in the stories. They are all quite strange and off the wall. This was a very refreshing read. book many a little boy will love. It has everything, aliens, food and explosions! I thank the author for sharing it with me. old west right after the civil war. actually lives up to the title. bloody and gory, can’t read the title and not know that. book definitely delivered in the rough and gory department. I did not however care for the very end of the book. identity was kept from the reader until the very last. I felt like that part was a little bit rushed. indeed from the one of your average student. 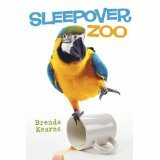 girl spends a week fretting over her turn to host the sleepover. She is so afraid that everyone will think she is weird. expect to see in this day and age. reading and I was glad that I did. good stuff started to happen. don’t want to spoil it for other readers. was used throughout the book. it is to be a series, but I did not like the way the book ended. said other people may love it. all set to give this book a 5 star rating until I hit the end. and enjoyable book to read. I will be reading the next one in the series. at the subject with a different approach. available and did not go look for it. I like to start cold and let the book lead me. 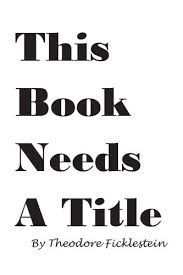 the napkin to the title of the book. 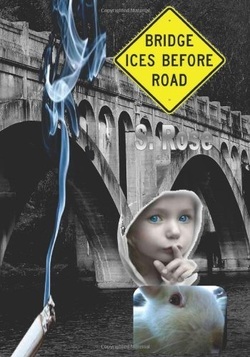 well written book that I think supernatural enthusiasts will enjoy. trying hard and doing your best. resources available to do a good job. really relate to the kitty trying to write a script. The picture looked just like me trying to write my own script. 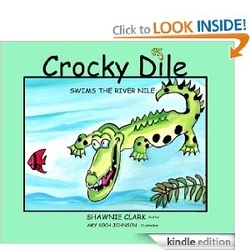 The book is delightful and fun with a very good lesson instilled in it. drinking iced coffee, to Christopher Columbus discovering America. Mr. Ficklestein is quite an accomplished straight man. with his checkerboard on drugs and his Mickey Mouse. Now I see why he stuck to poetry. He even attempts to amaze us with his music that he still has to write. All in all, quite an eclectic and entertaining read. I have not had that much fun reading a book in a long time. I thank Mr. Ficklestein for sharing it with me. I started reading this book expecting it to be realistically life like since it was based on a true story. It started out realistically enough with the explanation of how the whole situation started. After that it became a bit difficult to swallow. I don't know if it is because I have a background in Criminal Justice, but after the beginning of the story, the rest of it became a bit difficult to swallow. The notion that she was being tracked and followed by Town Cars kicked it into the realm of difficult to believe for me. Government agencies use Suburban’s, Crown Vics, and Chargers. These are middle of the road, discreet vehicles. They use these to blend in while doing surveillance. They most assuredly do not have the budget to use Town Cars, or have fleets of them. Those would fall more into the politician's choice of vehicles, those and limos. The next part was about her impending arrest and incarceration. She sure didn’t seem to take getting an attorney very seriously. I know there are expensive lawyers out there, but there are also decent ones. It seems to me she just gave up her search after the first interview. It really bothered me that she did so little on her on behalf. Just when I was ready to believe in her innocence, she admits she was guilty. That kind of set me back a bit. The addition of the jail house law clerk seemed to offer some promise of some action, but became an anti-climatic addition, as did her decision not to pursue another appeal. I feel like the story started out fine and stalled somewhere in the middle. It is a shame because it had lots of potential to go many different directions. It seemed to hodge-podge its way to the end. I kept hoping it would pick up, but alas it did not. This book is very intense and contains many honest revelations. I was a little concerned that it would be a complete religious manuscript, but that was not the case. The author started out on a religious trend but went other ways through out the book. The author talked about his new holistic approach to life and how hard he tried to maintain it. When he began to rant, he lost his job and basically had to look to another way to control himself. This is basically a person’s journey through the mysteries of his life and the complications of his illness. It is a very straightforward and honest look at the problems and struggles he went through. This book is a very intense read and not for the faint of heart. 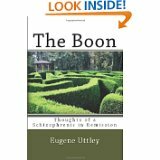 Many of the situations in this book would disturb many people. That being said, it is a great view into the life of person with this illness. I appreciate the honesty and the bravery it took to write this book. When you read this book, be on the look out for his theories on Styrofoam and liver flukes. They are most entertaining and interesting. At times this book tended to wander a bit and had trouble following it. Each time it did manage to get me back to the original thought. Due to this, I gave this book 4 out of 5 stars. I was provided this book for an honest review. I found to be a fun little romp. It gives a whole new meaning to Ghoul’s night out. It was a light and fun read that I really enjoyed. It reminded me of a series of books I read by Mary Janice Davidson about a vampire queen that was as good at being a vampire as Ava was being a ghoul. 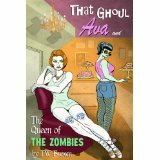 I must admit I have never read anything about ghouls, so I didn’t know what they were capable of doing. Wow, learning about them was interesting. They are like the buzzards of the supernatural world. This apparently is the second in a series. I have not read the first one, but the second one provided enough background information that I was not completely lost. It did this without being boring or redundant. This book will not win any Pulitzer prizes, but it is not meant to be that kind of literature. It is a fun, entertaining read that I would recommend to anyone looking for a break from the normal. I gave this book 5 out of 5 stars for sheer entertainment purposes. I was provided this book for an honest review. I was thrilled to death to get it. 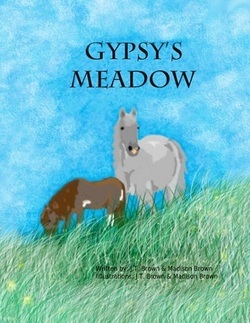 I just love horse books and stories, especially true ones. Being a horse owner myself, I can relate to many of the issues and triumphs of owning and keeping horses. 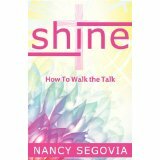 In this book, Nancy shows her issues of not fitting into societal norms for women her age. It shows her struggles and trials to find her place in life. She already had a great husband and a fantastic job, but according to societal conventions, she was missing something to make her life complete. She bought into this for awhile, and struggled to find her place in life that society thought she should have. As she struggles to feel like she belongs, you get to know her and feel her pain. She is brutally honest about all the feelings she has pertaining to this situation. Bless her husband’s heart; because just when you think she is going to throw in the towel and end up somewhere major depressed or has some kind of break down, he suggests she look into horses. I bet he didn’t have any idea what kind of impact this was gong to have on her when he did it. He was just looking to give her some kind of relief from her suffering. What a great guy! Now enters Eli. Little did Nancy know that this bundle of trouble would be the one thing to make her feel whole? Eli came with his own baggage and issues. These were the very things that helped Nancy and Eli bond. Working through all of them really helped them get to know each other on a very personal level. Horses are a huge responsibility and very difficult to take care of on a normal day. Eli came with previous injuries and tendencies towards future injuries. It is hard to imagine, but as big and magnificent as horses are they are prone to many health problems and injuries. Nancy had it right with her little quote “But for a nail…” Even something that small can cause life threatening injuries. As Nancy and Eli traveled their road to harmony together, Nancy learned many of the serious issues involved in owning a horse. She bravely took them all on and as she gained more confidence took more control of Eli’s actual care. I love the way Nancy was so honest about her feelings throughout the book. Many people who own horses will not own up to the fears that she did. She also took it on the chin when she was dumped by her own horse and didn’t have any problems expressing her anxious thoughts the next time she went to ride. Nancy has spun a wonderful tale of self doubt, redemption and unconditional love leading to recovery and self esteem. Of course Eli was a major part of this story without his help, Nancy could not have learned all that she did about owning her own horse. Eli and Nancy were meant to be together and their story was meant to be shared. I would definitely recommend this book to anyone. I was provided this book for an honest review. 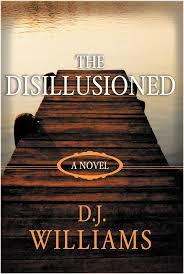 I was a little concerned when I first started reading this book that it would continue on the veins of prejudice. I was pleasantly surprised. This is a really good book with a lot of social commentaries in it. I really like it when the YA books approach and handle difficult social situations. It is true enough that it is a human/different species romance like Twilight, but let’s admit it, that is what the kids want these days. This book was at least original enough to use androids instead of the usual vampires or werewolves. Anything that gets our younger generations to read without polluting their minds with propaganda is okay with me. The more I read this book, about the prejudices against the androids; it reminded me of the societal prejudices of today against different races, and religions. I liked the way the reasons for the prejudices were questions by our young heroine. Admittedly, she did go to some serious extremes to find her information, but sometimes circumstances dictate our actions. The inclusion of her little rich friend with the powerful father was a nice touch. About halfway through the book some information is withheld from the reader. It was driving me crazy to know that information. It was a very effective technique to keep you reading. When the information was finally revealed, it was certainly not what I was expecting. It actually turned out better than anything I could have imagined. This is a great YA book that doesn’t spend all it’s time on sexual escapades. It is refreshing and the story is original and well written. 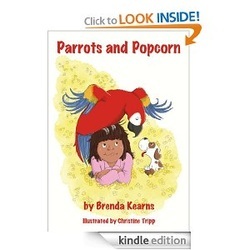 I would recommend this book to any youngster looking for something to read. 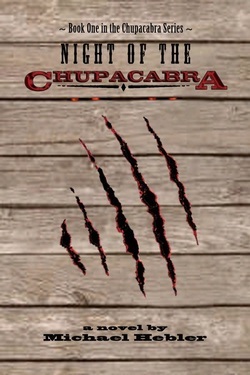 I gave this book 5 out of 5 stars We need more YA books like this one. 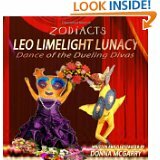 This book was provided to me for an honest review and I must admit that after I read the book description, I was expecting a comedy. This book was anything but humorous. I felt like I was reading something else entirely than what was originally described. There were a few similarities, but, it was not what I was expecting. The book opens with a scene that lets me know right off that this is not a humorous book. I don’t want to spoil the story for others, but the beginning was a very heavy way to begin any story. Moving on from the original crisis, the story kind of lagged for me. It moved really slowly and I had to really concentrate to keep going with it. I must admit that I was appalled that the residents of the house lived in such squalor and filth. I understand that this was part of the story, but the fact that it continued, and later was verified and excused, was a bit difficult for me to swallow. I just can’t wrap my brain around anyone thinking that was okay for any amount of time. Another thing I found distressing, was the killing of an innocent animal with no repercussions or punishments by a child. We have enough disturbed individuals in our society as it is without putting more ideas in their heads, thinking it is okay to do to get what you want. The house, itself, sounded fascinating in the descriptions that were passed on in tiny nuggets in the story. The way the author doled out the details of the house and the way it was constructed, along with all the special features that had been added to the house made me think the author was going to do something special with this information later in the book. Sadly this was not the case. The author did a great job of making the characters believable. There were some characters that I really did not like at all and some that were quite charming. The interactions that took place between some of the characters were at time quite maddening. There were high levels of usury and manipulation. This was of course all part of the story line I am sure. The ending of the book I must admit, I did not get at all. I did read the book twice to make sure I didn’t miss anything. This particular story had two different endings. The first one, I felt was just thrown together and a bit ridiculous. The second ending I almost missed. I don’t know if it is just the way the kindle formatted it, but it came after all the author’s acknowledgements. I just happened to see it. That ending showed a little more thought and actually made sense. It looked to me like the author just threw the first choice in so they could say it was a book with two endings. I must admit I am not a fan of books with alternate endings. As far as I am concerned this book has some issues that I didn’t particularly like, but I can’t hold my personal prejudices against it. The author did a really outstanding job of developing the characters to a believable level. They also pulled the story together after a rather sluggish start. The book was interesting and entertaining in a weird sort of way. Since I am not a fan of dual ending books, I can’t really hold that against it either. 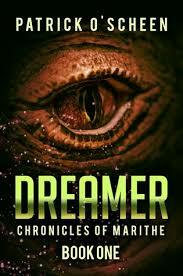 Between the outstanding characters and the issues I had with the book, I ended up giving this book 4 out of 5 stars. attract some of the younger set. other one runs simultaneously during the days of kings and dragons. story line and told in a most unique way. been my problem, not the author’s. all to end the way it did. sub dragons before, but the author made the believable. 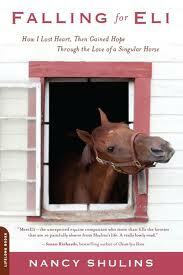 particular horses had suffered before they came home to be theirs. both able to share that bond is amazing. is totally worth the emotional journey to read it. you whether you are an adult or a child. reading if you have ever owned a rescue horse. animals that defiantly shaped their lives. Parents are notorious for keeping secrets from their children, but do they do it to protect the children or protect themselves? This is a question you must ask yourself as you read this story. The father figure in this story might have done well to remember the old saying, “Two can keep a secret if one of them is dead.” Since he was a world traveling minister with an ego the size of Montana, I don’t think he ever thought anyone would spill his secret, even though it was known by several high profile world leaders. This secret was huge and continued to fester even after the assassination of the father. It destroyed the mother, causing her to final give in to the pressure and guilt and commit suicide. The two boys knew nothing of this secret until both their parents died; even then they had to follow clues to figure it all out. The two estranged brothers ended up working closely together to figure it all out. They were motivated by the threat of their father’s replacement tarnishing the family name. The characters in the story are all involved in one way or the other in a large religious organization. There is a lot of money involved in telling of this story. I guess one could say the story was about the corruption of large religious groups, but I don’t really see it that way. I see it as how as humans when we do something so wrong and try to hide it from our loved ones, it just makes matters so much worse than if we had just come clean. It seems it always comes out in the end, no matter how hard we try to hide it. The more time and more lies that are involved, the more damage is done. This story had many twists and hints to the plot. It was really nice the way the clues were put out so the reader could follow them. I hate it when someone in a story solves a mystery by using clues that reader didn’t even know about. The characters were real and very believable. I like the way Sam kept saying he wasn’t prepared for any of this. The two brothers showed real trust and real fear in this story and that I think was what led to their redemption in the end. The horrors in this book are quite graphic and might offend the faint of heart, but unfortunately they are things that actually happen in this world of ours. It is to the author’s credit that he is bringing them to the light for everyone to see. As you can tell, I really enjoyed this book. It brought out a plethora of emotions. I felt anger at the father, sympathy for the mother, and whole range of feelings with the brothers as they went through their plight. Notice I said “with” the brothers because the author had me right there with them in every situation. I don’t want to spoil it for anyone so I won’t go into any of the plot details, but this is a book you do not want to miss. 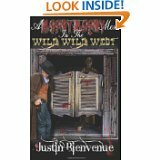 It is the adventure of a lifetime; I did not want to put it down! I gave this book 5 out of 5 stars. I was given this book in exchange for an honest review and I must honestly say, this is a pretty good little book. I am the mother of a daughter so I went through more than my share of sloppily written love stories involving supernatural elements. More than a few of those books involved things that young adults did not need to even think about, just to get readers. 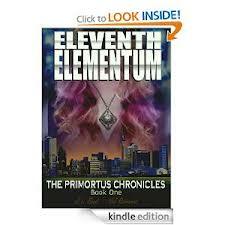 This book the eleventh Elementum is a nice book for a young adult. It still addresses attractions between the players but does not go into gory detail or become a how to manual on how to catch a guy. As a parent I must say, this is a nice surprise. The book opens with a very gripping and surprising event from the past. It then fast forwards to the present day. It was very clever how the authors wove the two time frames together. In order to understand the rest of the book, the reader must have a grasp of the first event, but this is not apparent at first. The authors take their time and do not rush the connection. They let it slowly unfold through the pages of the book. The young adult characters are believable. The guys are pretty typical teenage boys and the girls pretty much follow suit. The one girl, the fashionista, you would like to strangle at times, so she is one you can definitely buy into as real. I was a little distressed about the parents being so absent, but the extended family seemed to make up for them being gone. The details and appearance of the androgynous person was a little different, but was handled nicely. The story flowed nicely. The clues were slowly unfolded so the reader had time to connect most of them and make sense of their appearance in the story. There were a few that I never did understand, but I am guessing the answers to those actually lie in the sequels to come. The authors did a nice descriptive job on most of the encounters. The last scene to me seemed a bit rushed and was ended on an emotional plateau. We all know how it ended, but it seemed to be an apparent hook to get the readers to buy the next book in the series to see how it worked out. All in all, it was a good book and an entertaining read. I would definitely recommend it to any of my friends with children in the appropriate age range. I thank the authors for sharing it with me. 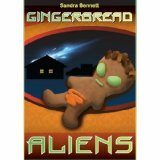 I gave this book 4 out of 5 stars. This book is a clear case of “the eyes have it”. You are drawn in immediately by the cover image. The imagery of a young girl asleep with the mesmerizing eyes overlooking her bed instantly gets your brain working on numerous levels. Are the eyes evil or they good? These are just a few of the things that go through your head. It is always good if you can get someone’s brain working before they even open the cover of the book. Once Su gets you inside the book, the fun really begins. The young sleeping girl becomes a tragic figure in her own life. So many horrible things happen to her in such a short amount of time she begins to think she cannot make it and looks to over means of comfort. 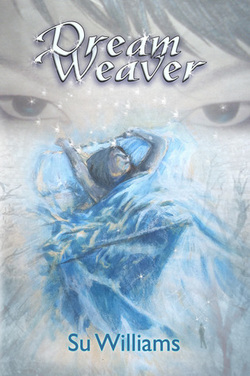 The dream weaver, Nick is painfully aware of her plight and does all he can to end her pain. I don’t want to ruin the story line, but as the story continues Nick and Emari must face many decisions that will affect both of them together an individually. There are many twists in this story that no one really sees coming until you are in the middle of them. The story is exciting and suspenseful. Ms. Williams does an excellent job of handling some very delicate social issues that affect many of our young adults today. 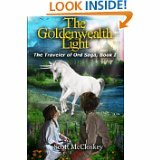 Her characters are developed well and the plight of the young Emari is most believable. Emari suffers from an actual condition well known among our young people and Ms. Williams works hard in her story line to let those young people know that there is more to life than pain. She gives them a choice and a way out of their misery. 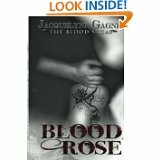 This book was provided to me by the author, Sienna Rose for an honest book review.